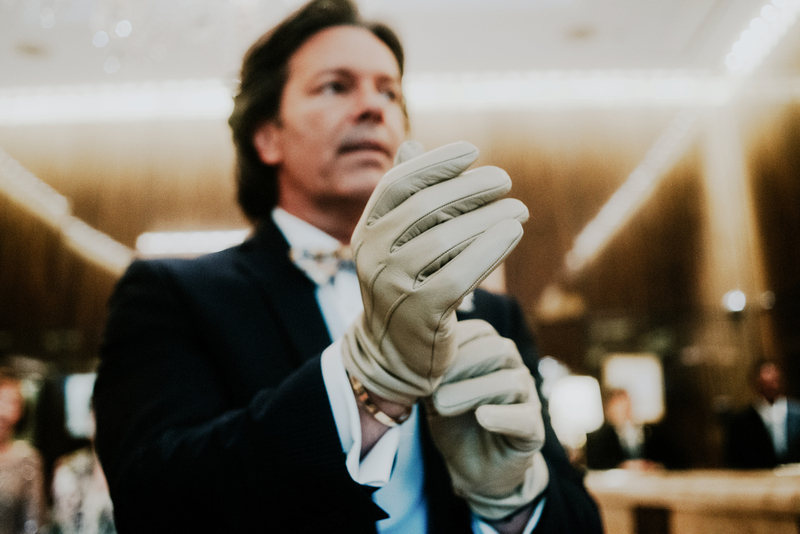 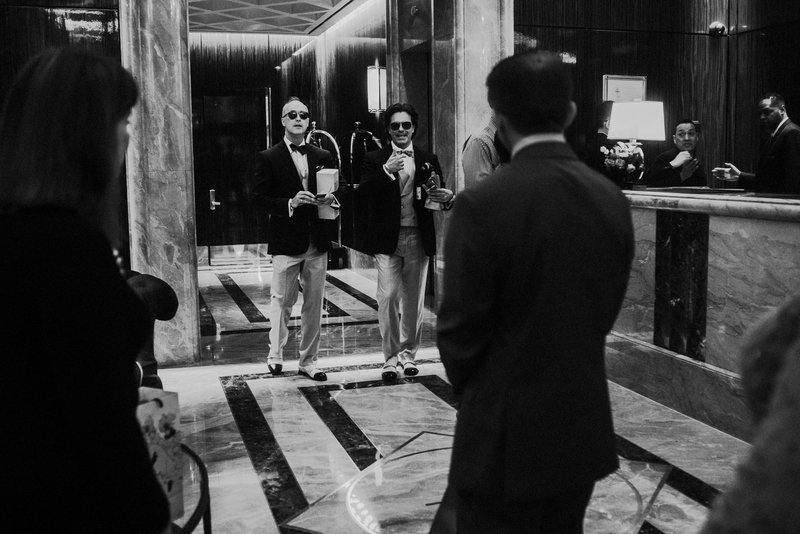 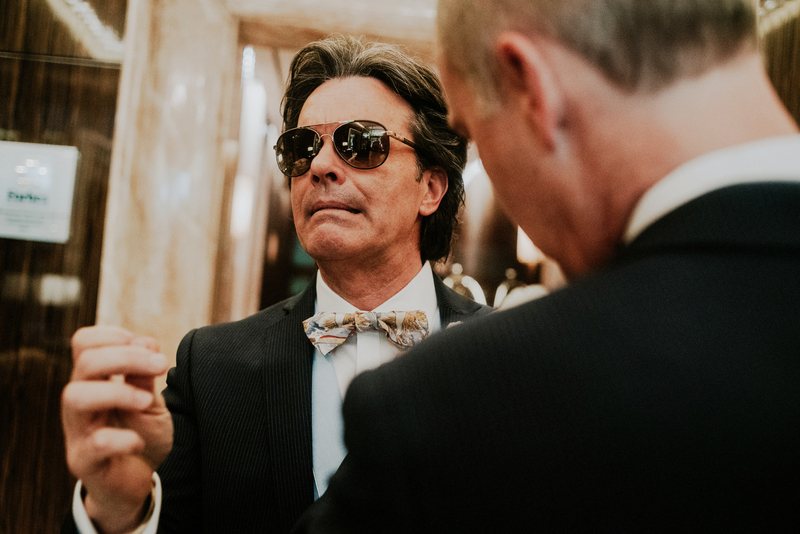 In no less than there fashionable NYC style, Jonathan and Rory showed up to the lobby of Trump International Hotel in their sunglasses, gloves, and matching shoes, wearing their custom made Italian colognes ready to make their commitment public to their friends and families. 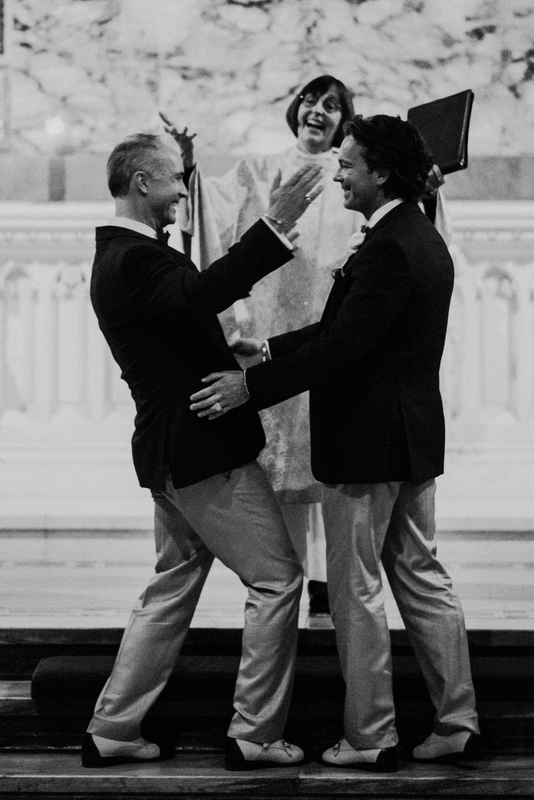 Who would expect less from two high end designers? 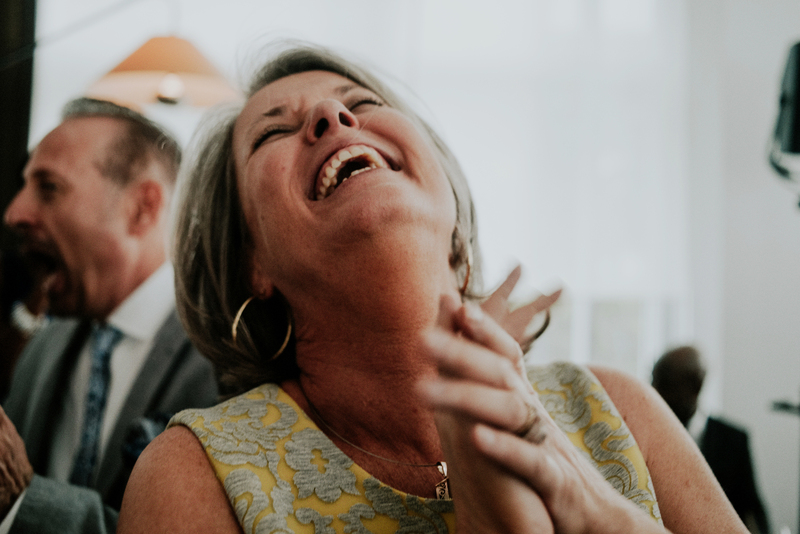 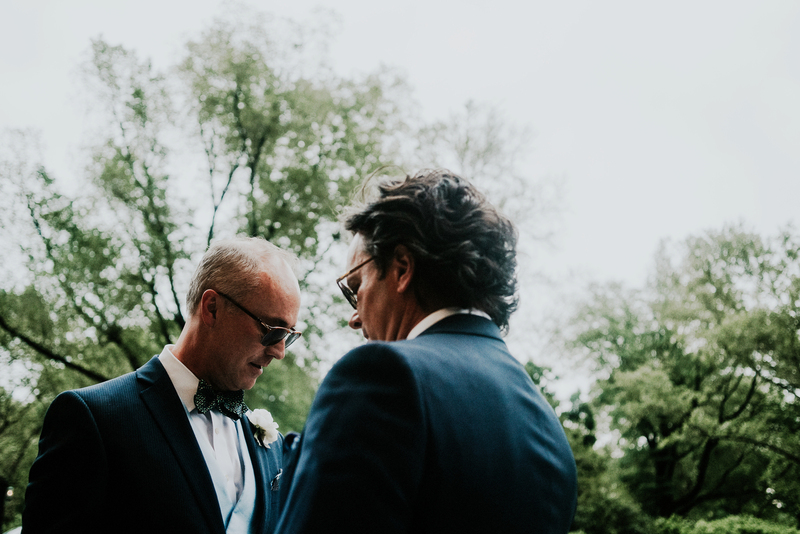 Jonathan and Rory have been amazing to work with, starting with their complete and total trust in my vision to capture their day, since they didn’t want to miss a moment of the fun. 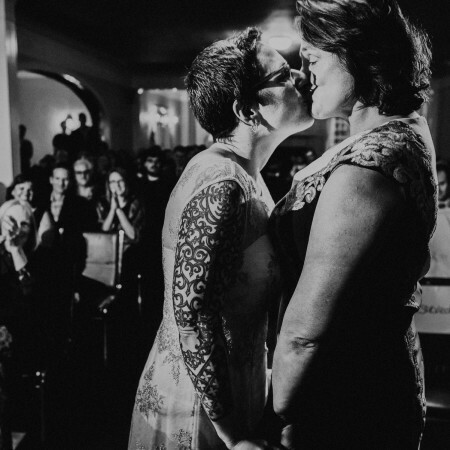 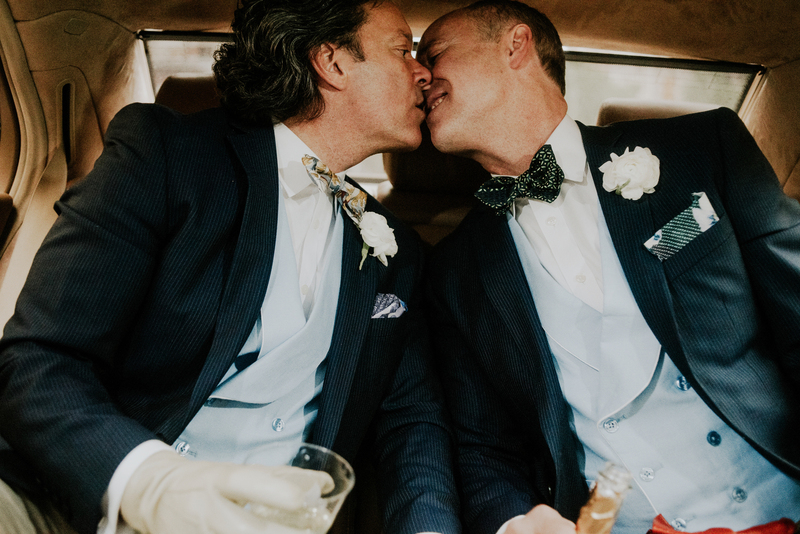 In a world where so many personal choices are questioned and social norms redefined, I was so happy to have been a part of witnessing the bond between two special people who love each other without limits and are perfect for each other. 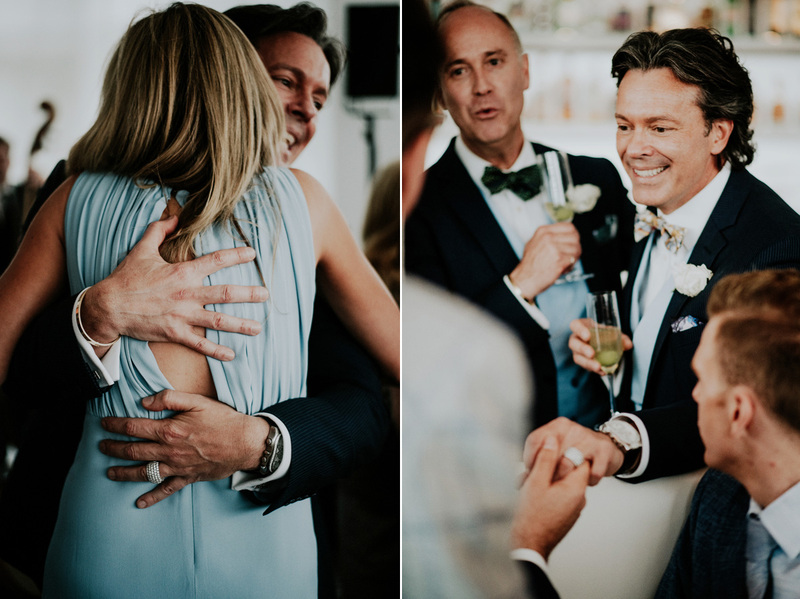 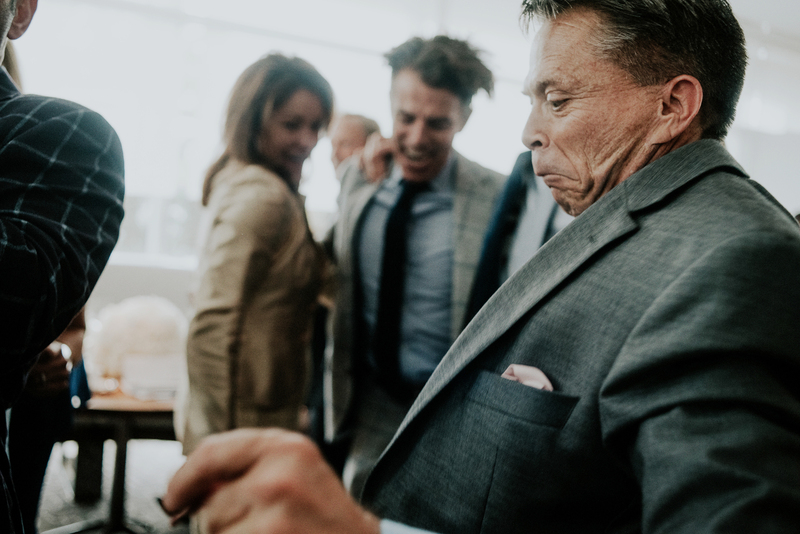 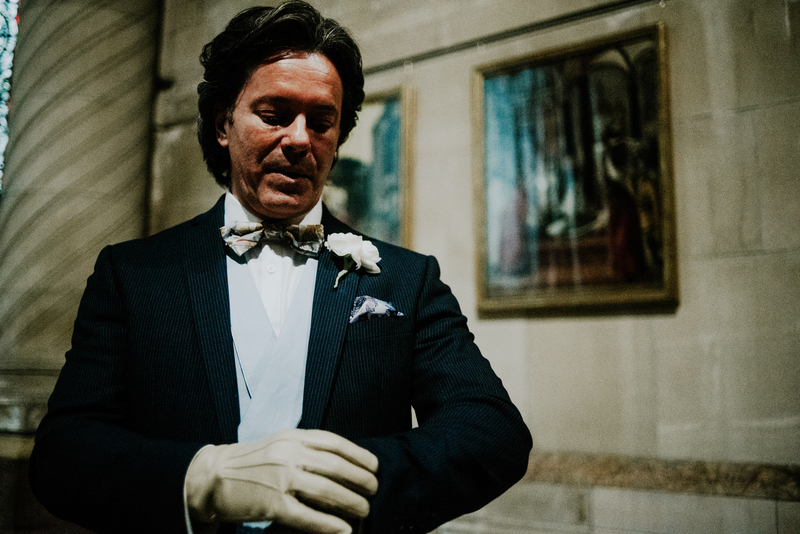 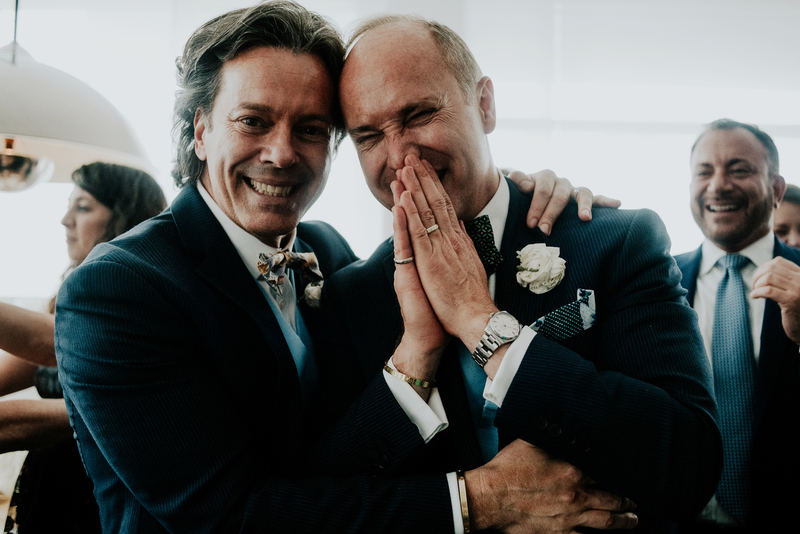 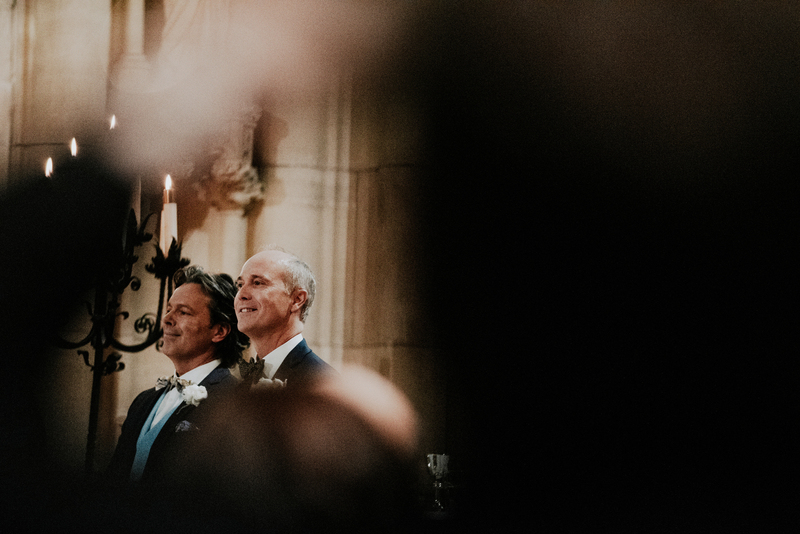 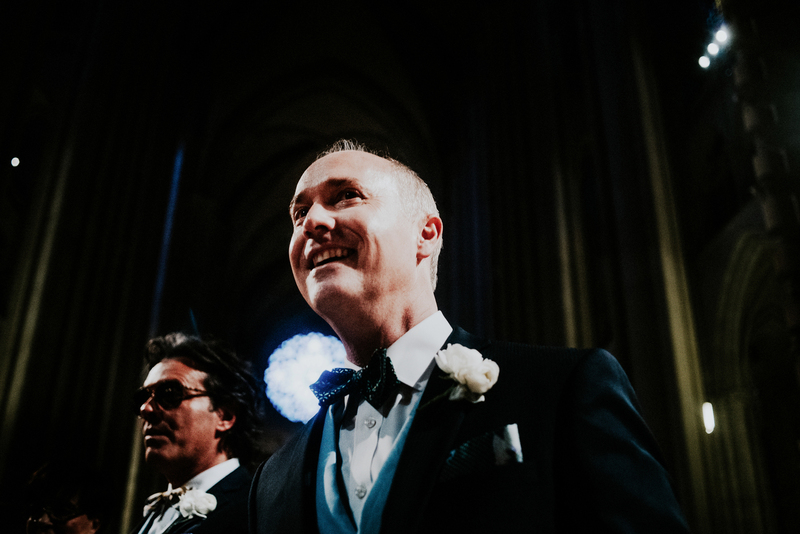 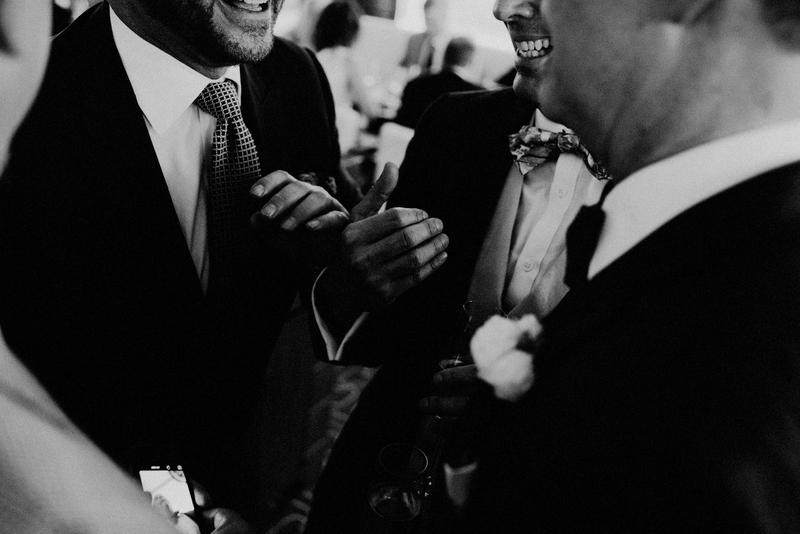 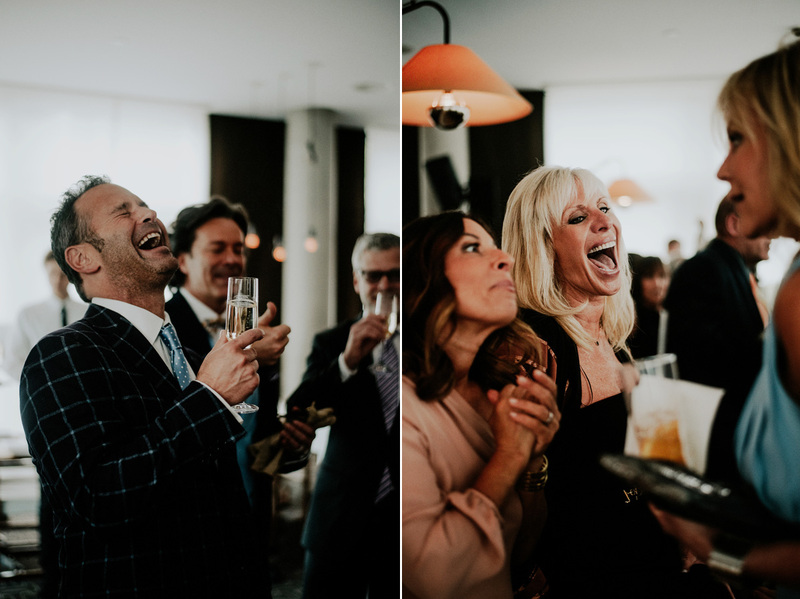 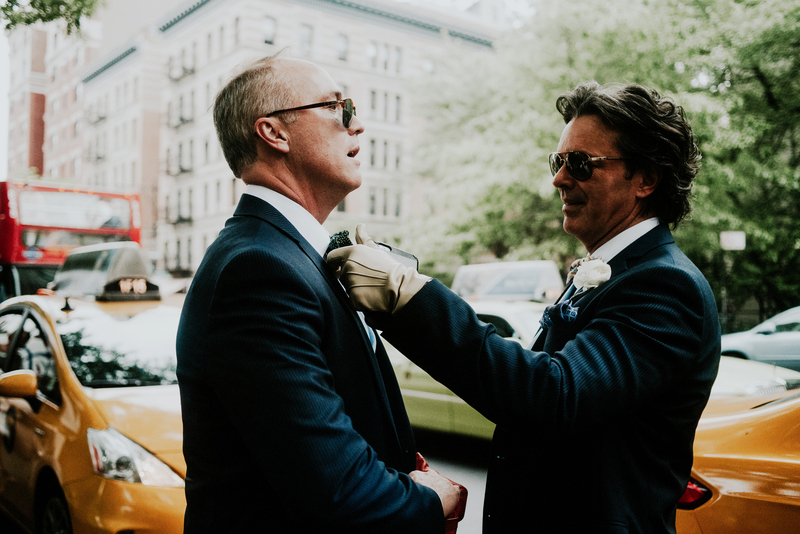 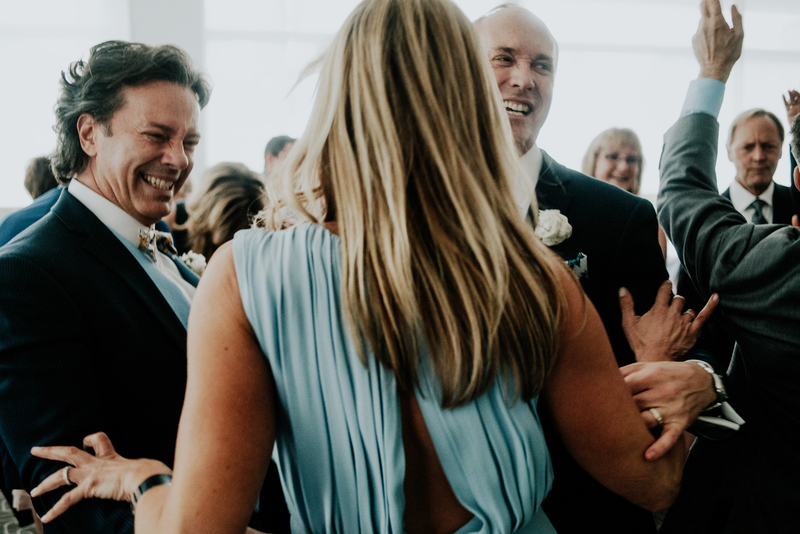 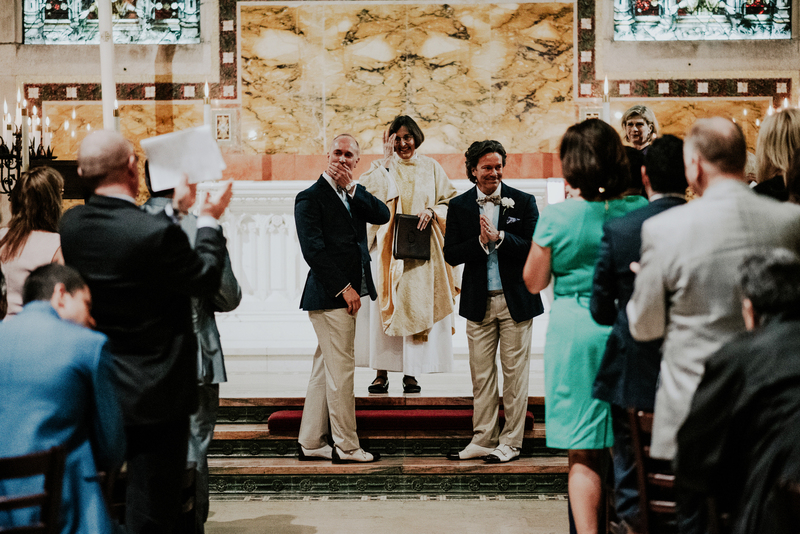 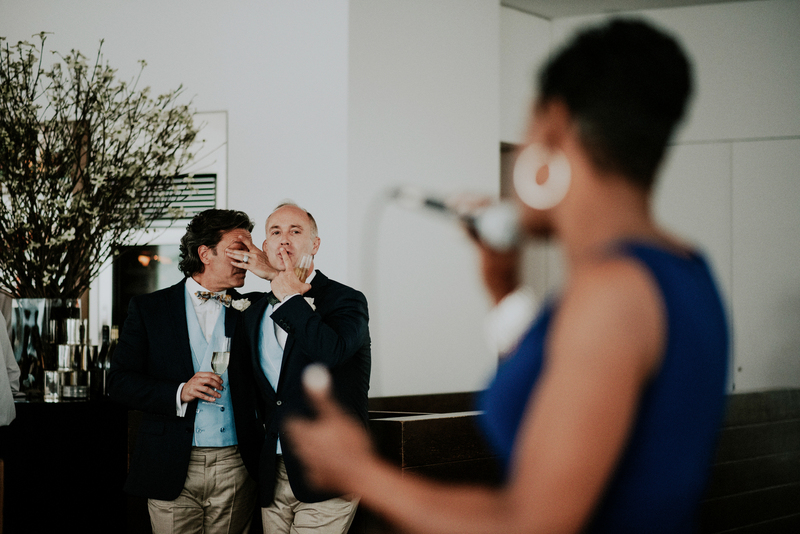 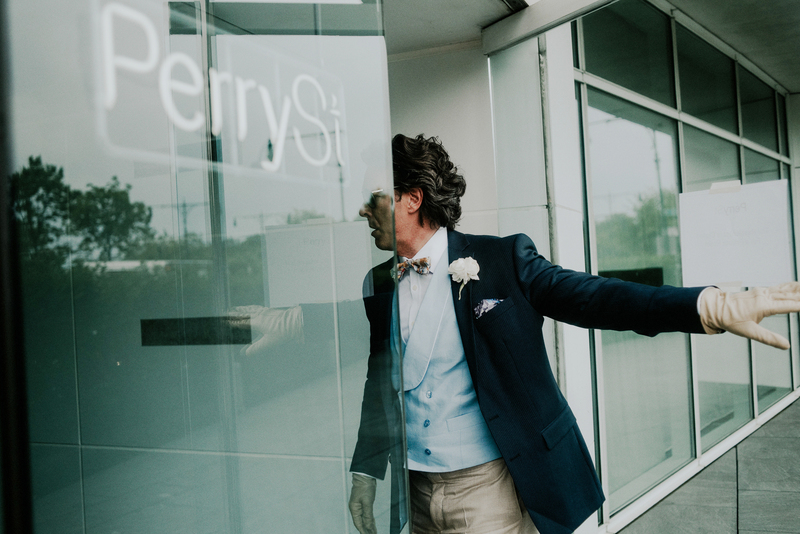 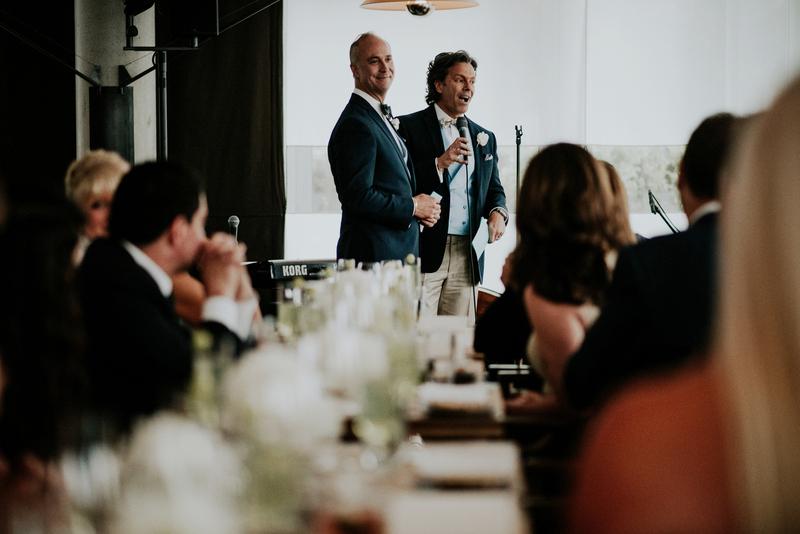 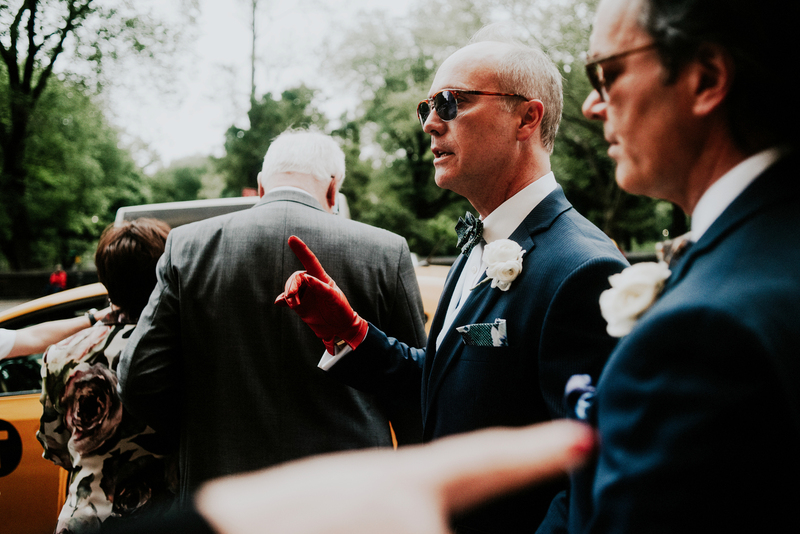 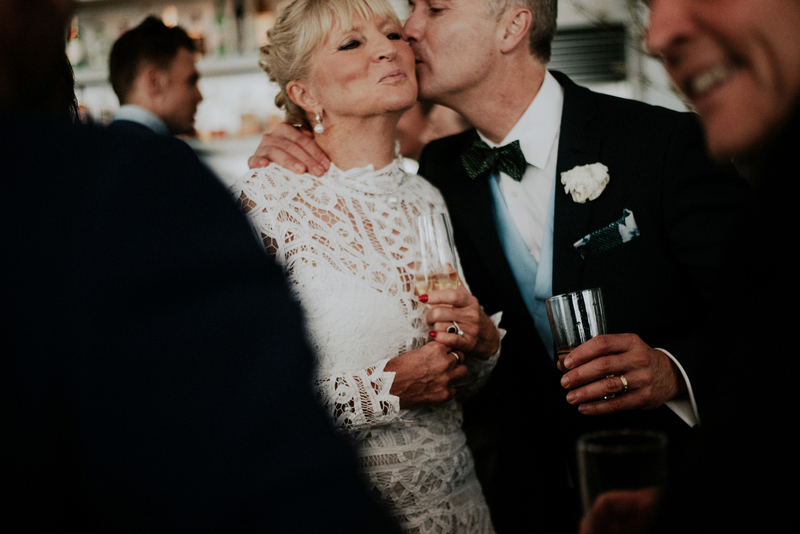 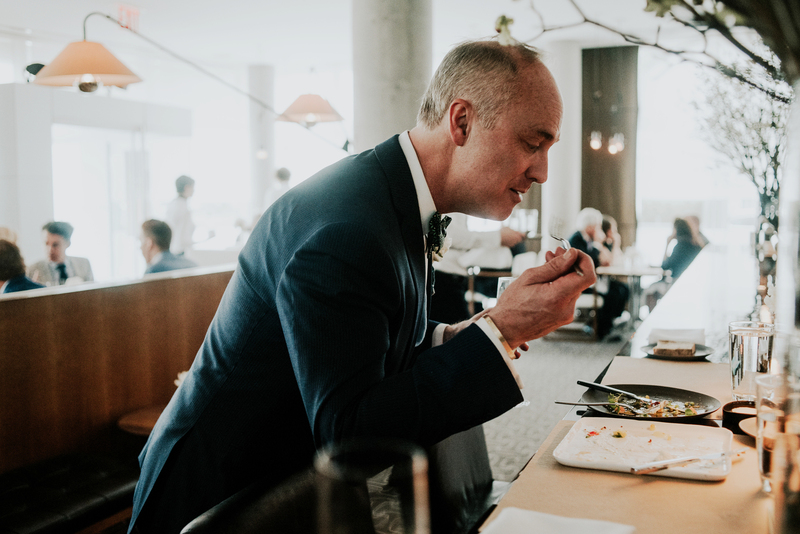 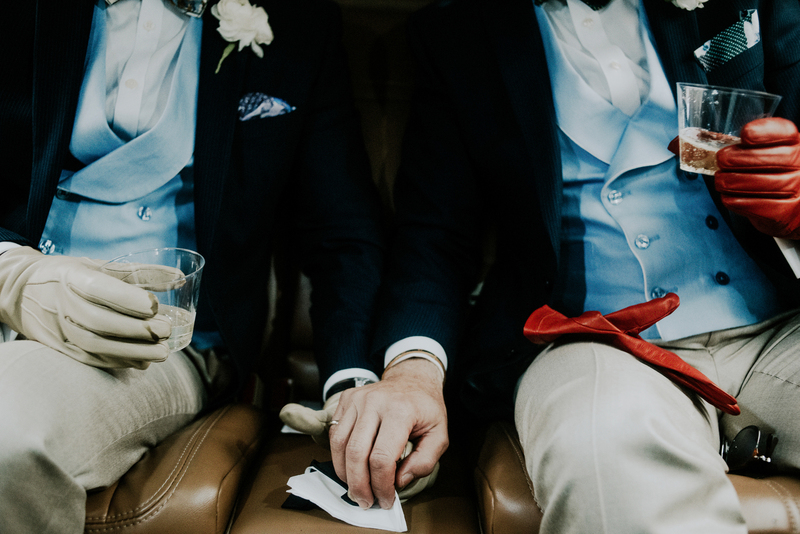 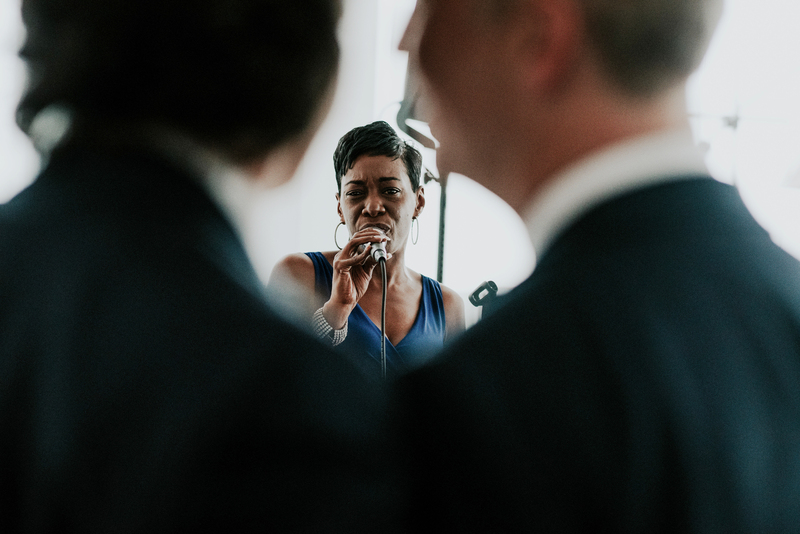 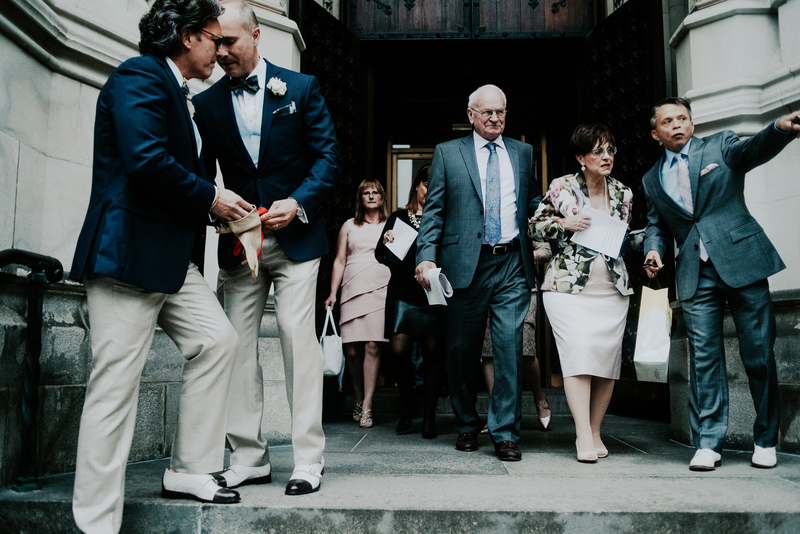 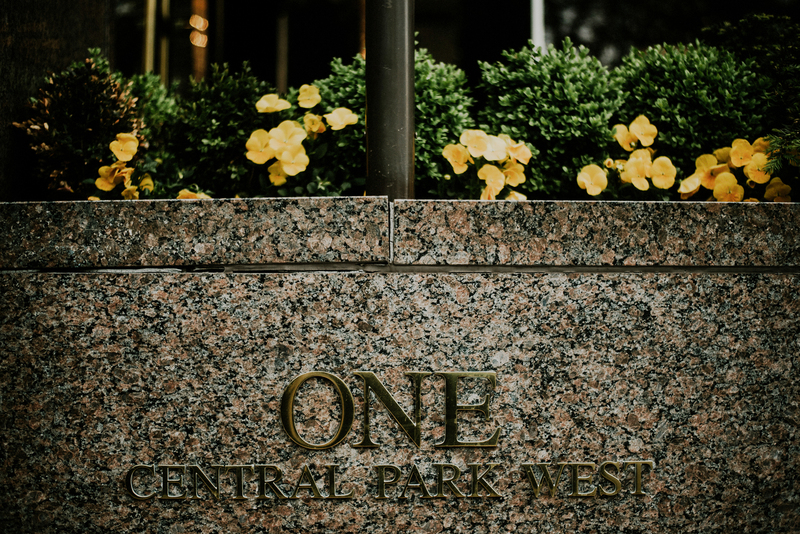 Jonathan and Rory’s wedding was an intimate celebration with only their closest friends and family which they chose to celebrate in true NYC fashion at one of New York’s finest restaurants, Perry Street. 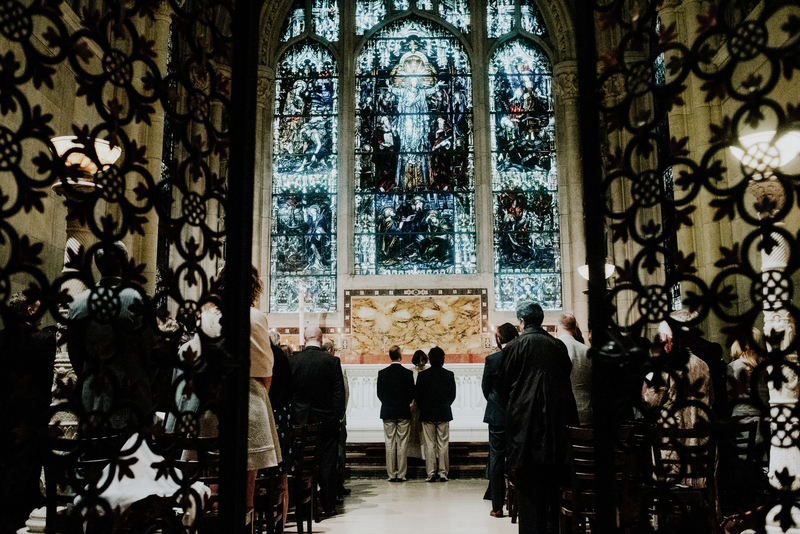 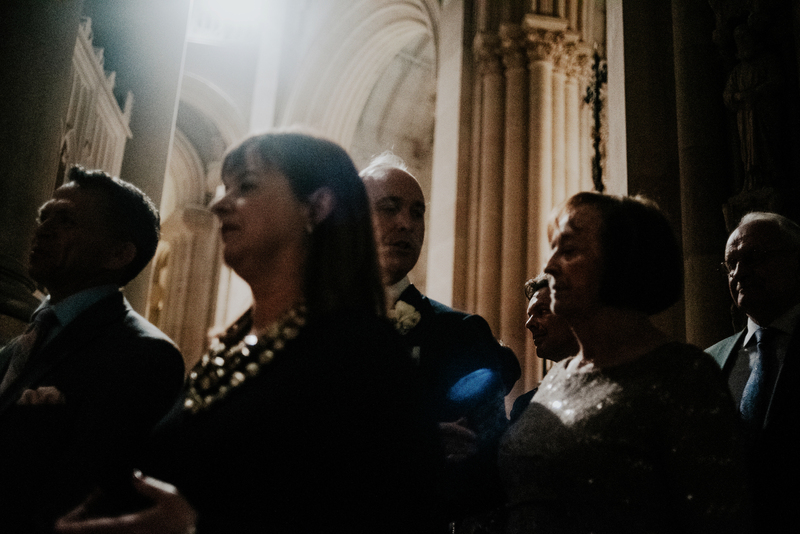 Their intimate lunch reception was preceded by a beautiful ceremony at the historic and grand St John the Divine Cathedral in Harlem, led in the most beautiful sermon I have ever ever heard (and p.s. 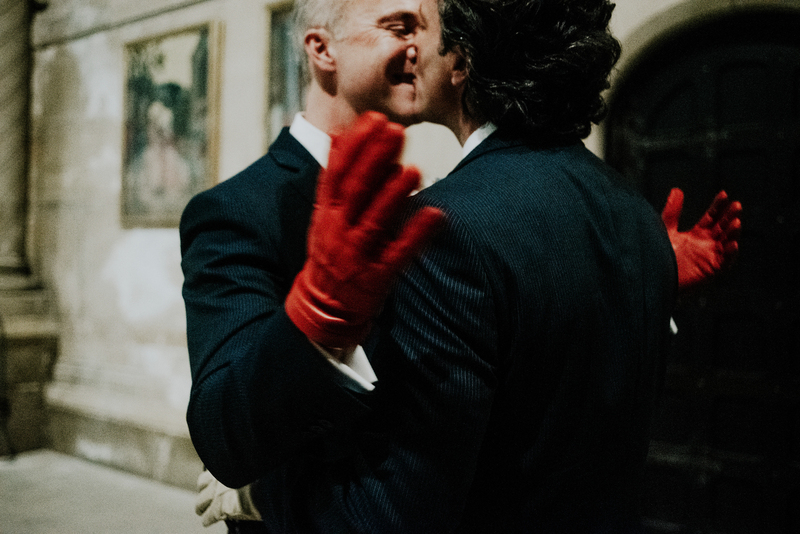 I’m Jewish, so I don’t say this lightly), geared towards accepting love as love, and even apologizing for the church’s past behaviors and decisions. 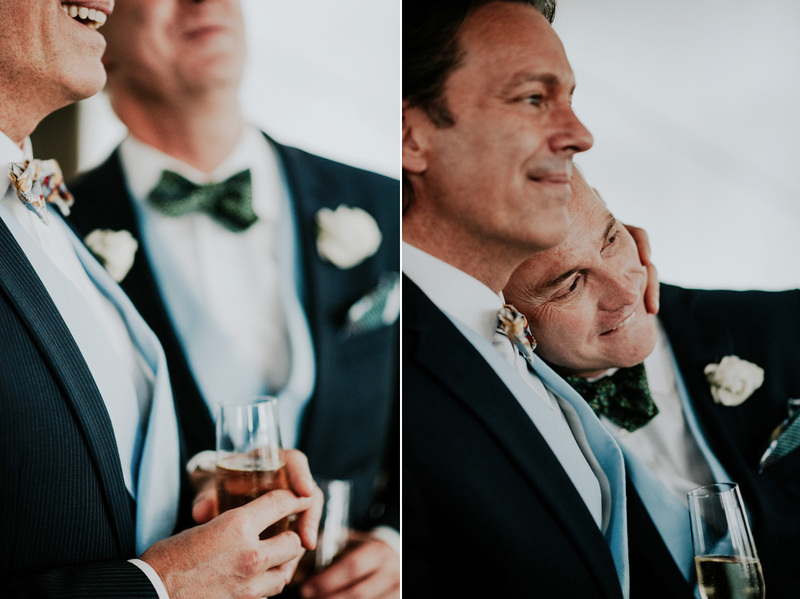 It truly warms my heart when I see not only a couple loving each other, but being surrounded by so much love and support as well to continue their lives together. 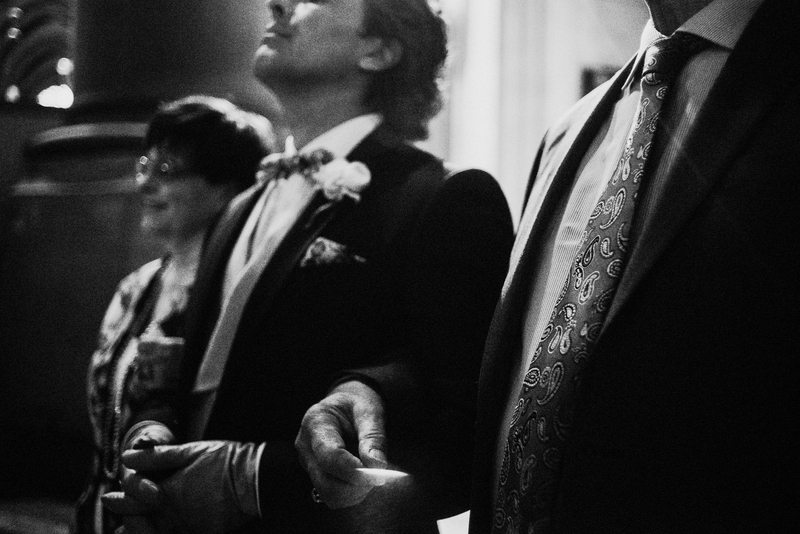 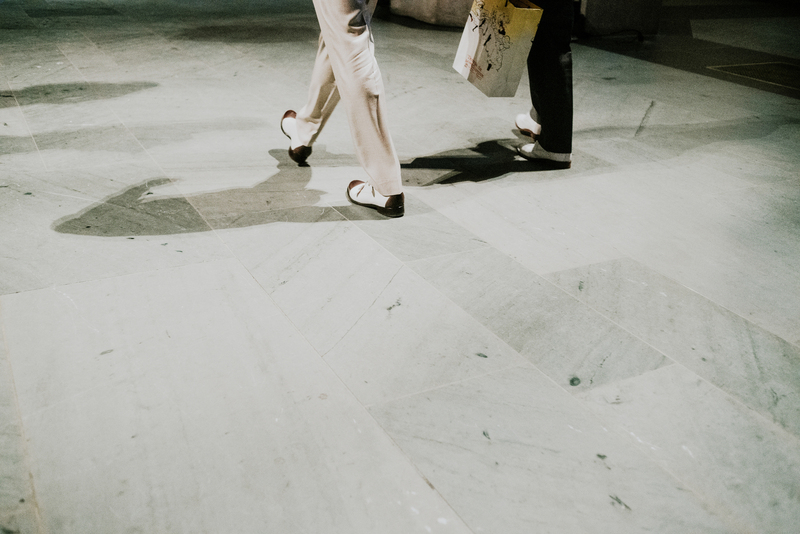 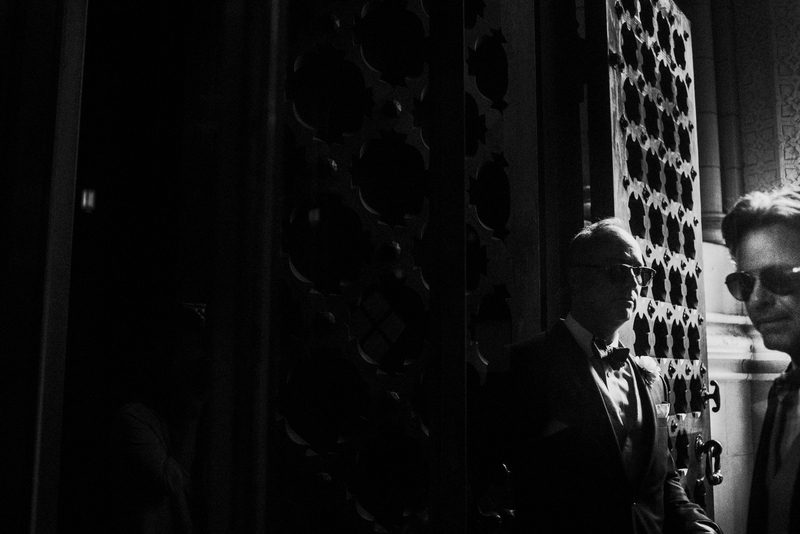 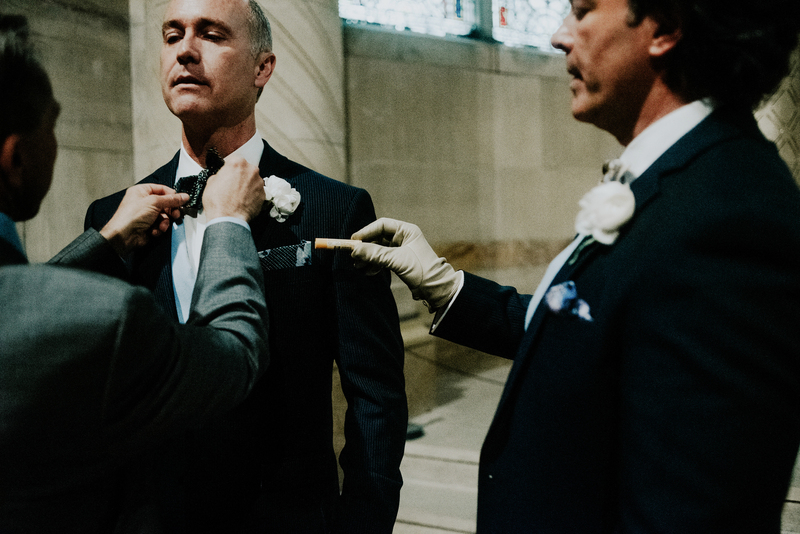 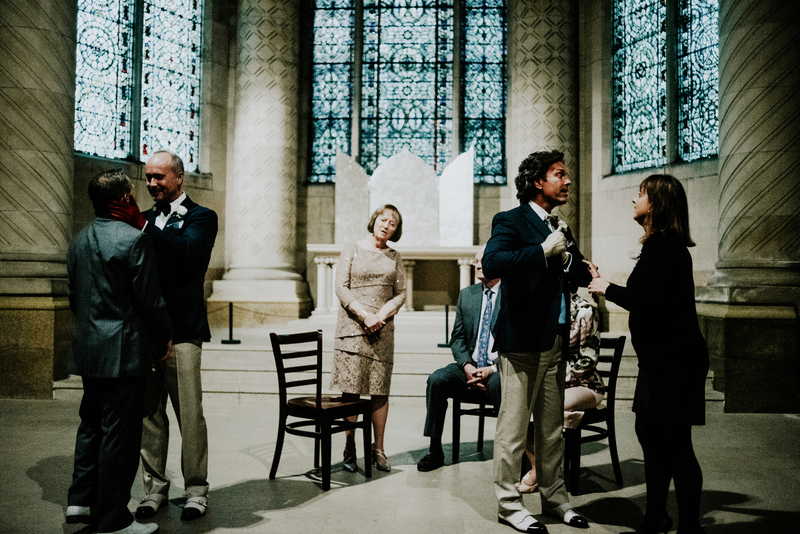 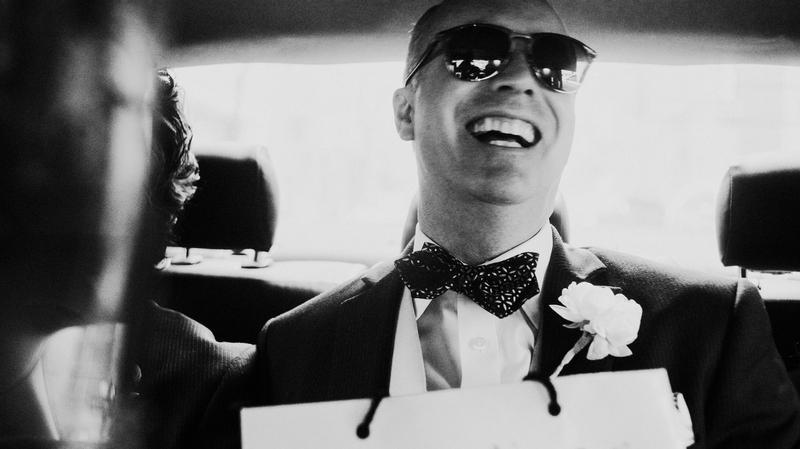 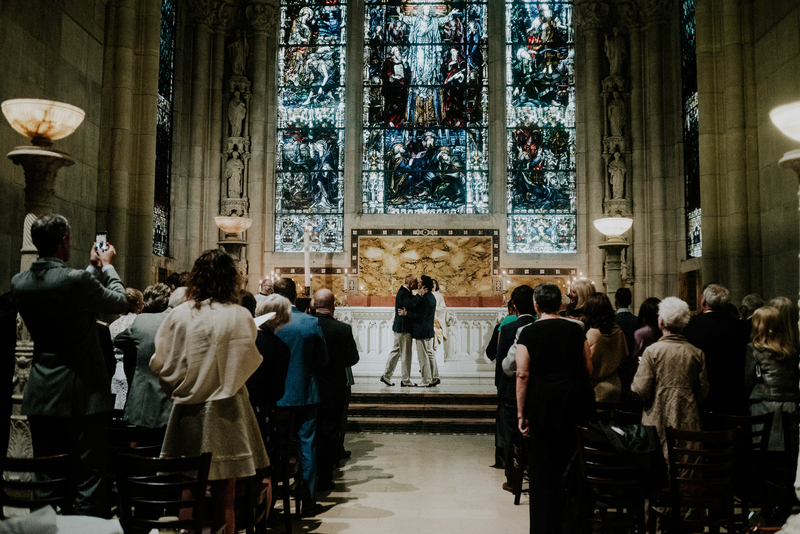 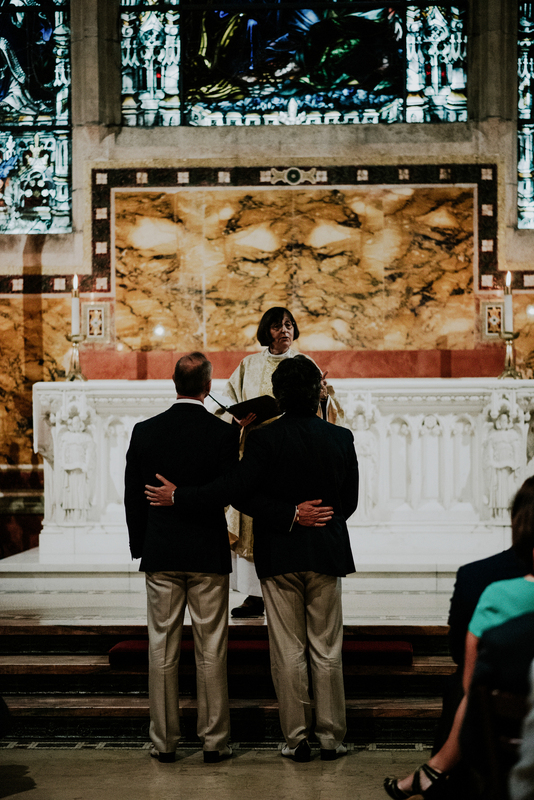 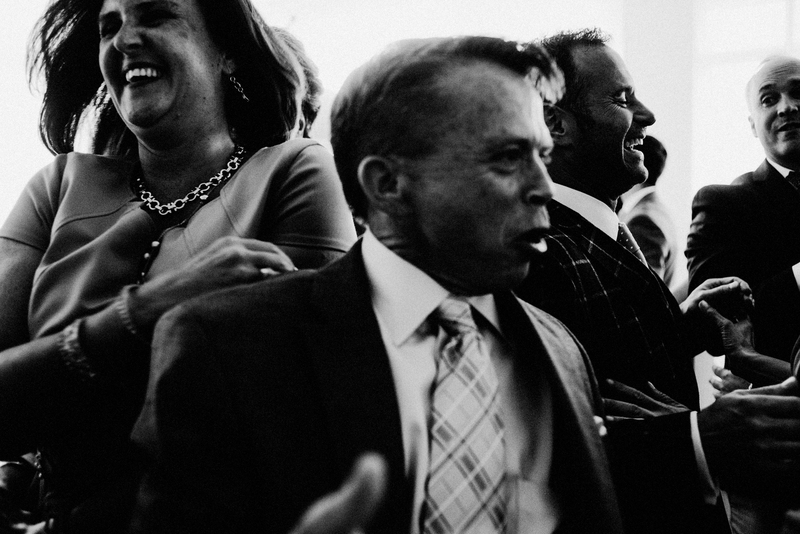 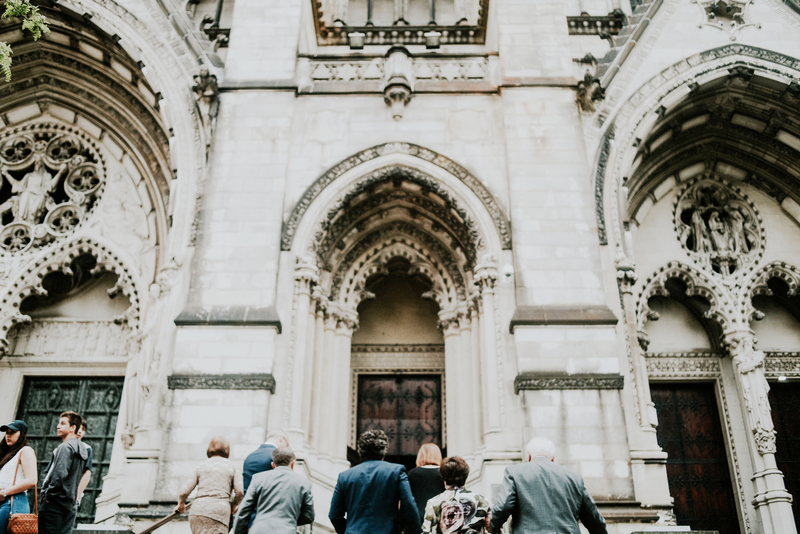 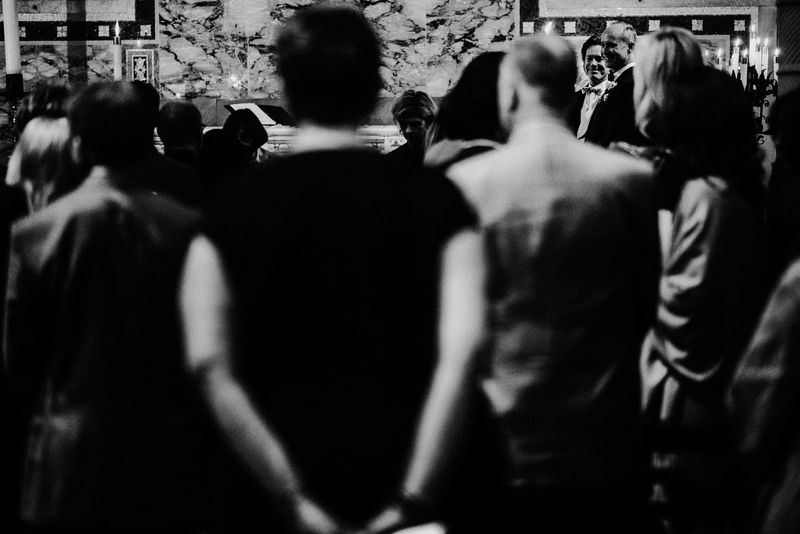 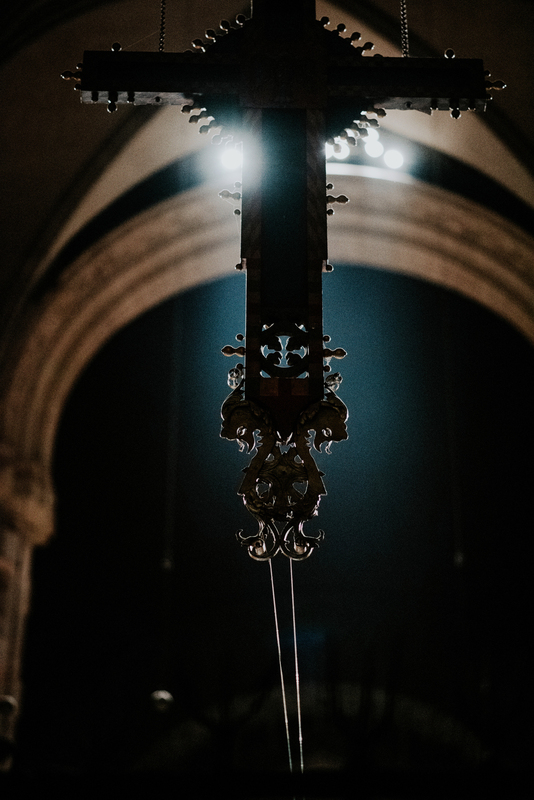 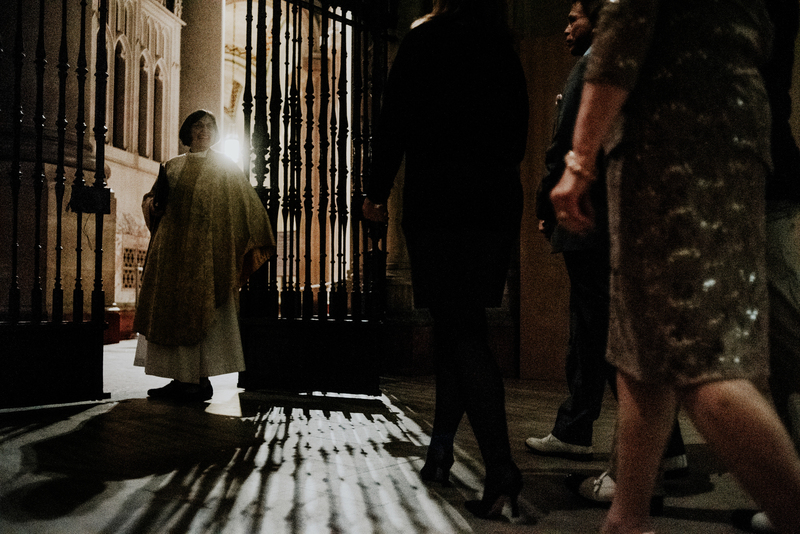 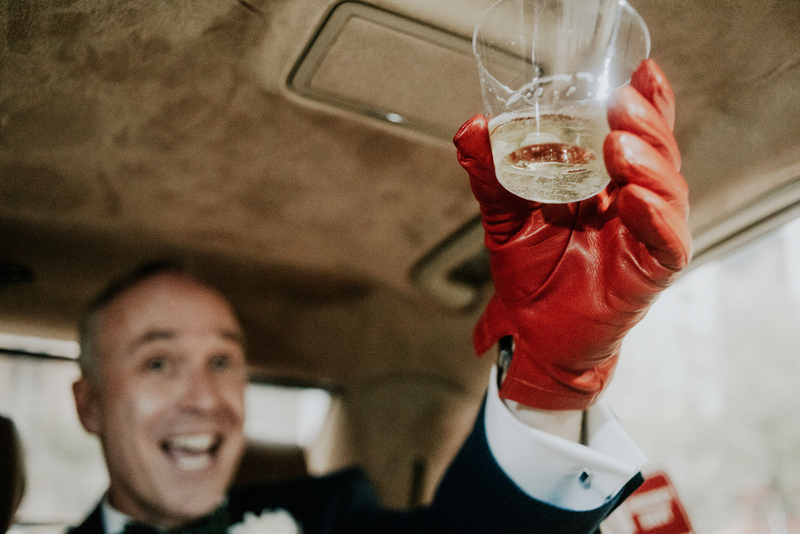 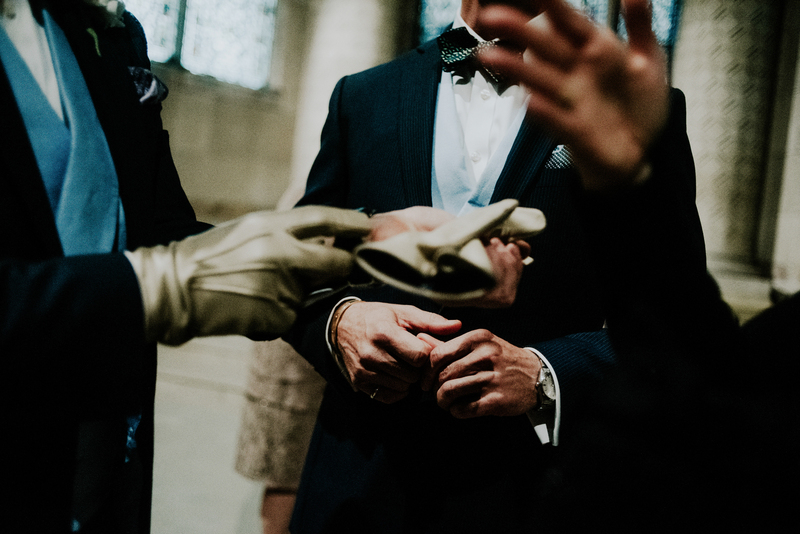 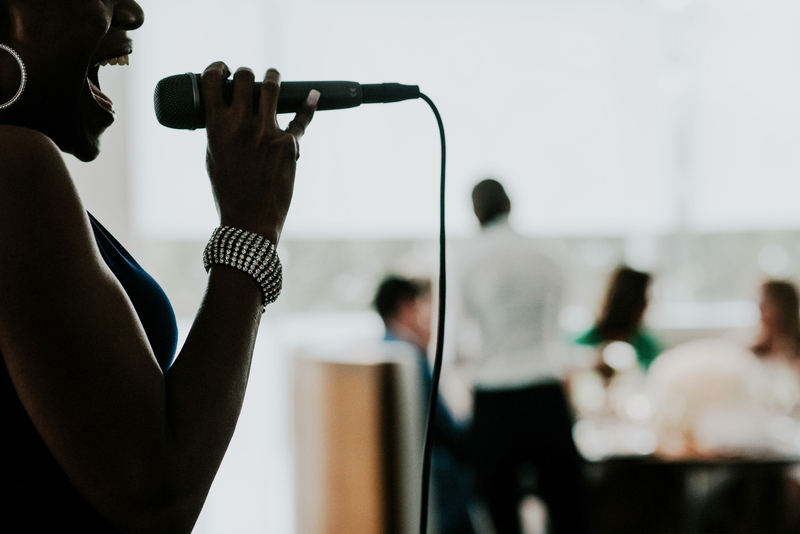 I was so honored to have been a part of capturing these moments, from a NYC cab ride together to the church, to the hecticness pre-ceremony, and the lovely performances and speeches by Jonathan + Rory’s close friends, making this truly a wedding day to remember… a few highlights from the day below.